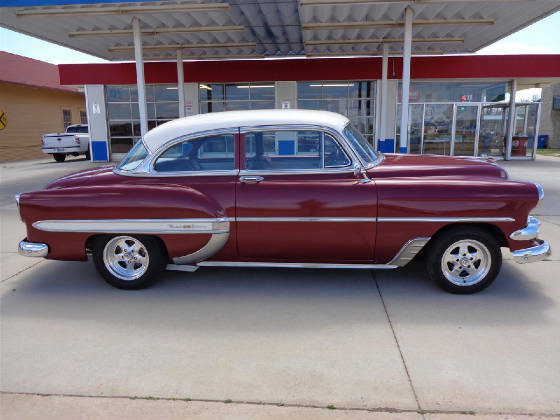 This month’s Great Oklahoma Classic is a 1954 Chevrolet BelAir “Rest-o-mod” that belongs to Doug and Beverly Brashers of Perkins Oklahoma. The exterior is Redondo Red with White top and side inlays. Body and paint repairs have been done by the “Bill Scott Body Shop” of Perkins. 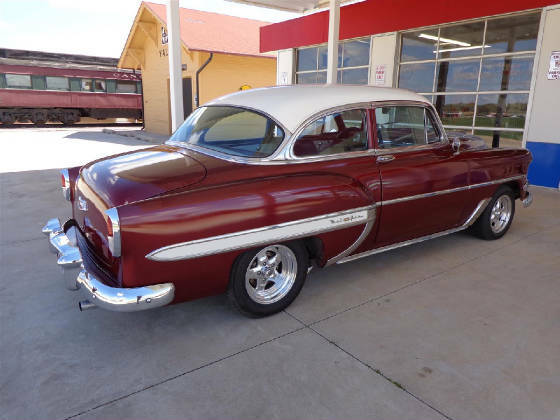 Doug found the 54 BelAir in November of 2014 in Bartlesville. After a good looking over and a great test drive, Doug made the purchase. 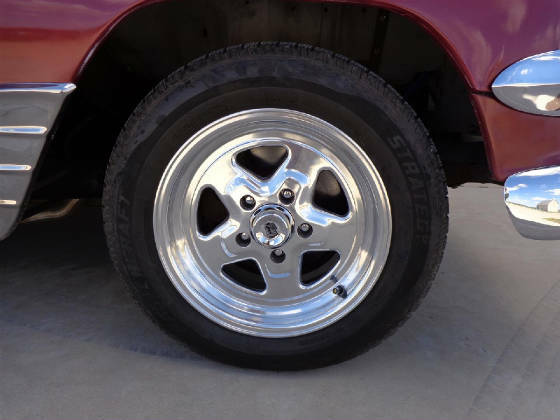 The original front clip has been replaced with a Nova front clip which includes power disc brakes and power steering. 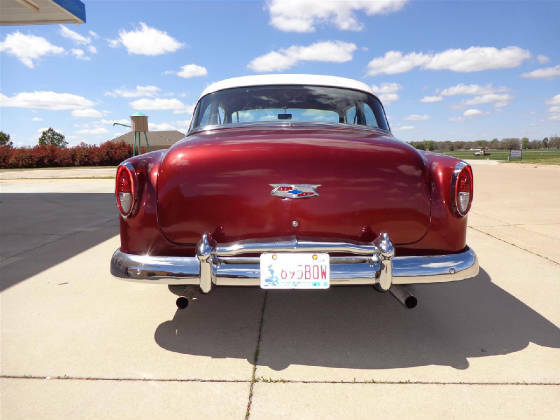 The duel exhaust and unmistakable Comp Cams Thumpr sound lets you know this Chevy will go! The Chevy has a GM 350 cubic inch V8 that has been bored .030 over stock. The camshaft is a Comp Cams Thumpr that delivers that aggressive, head-turning sound! 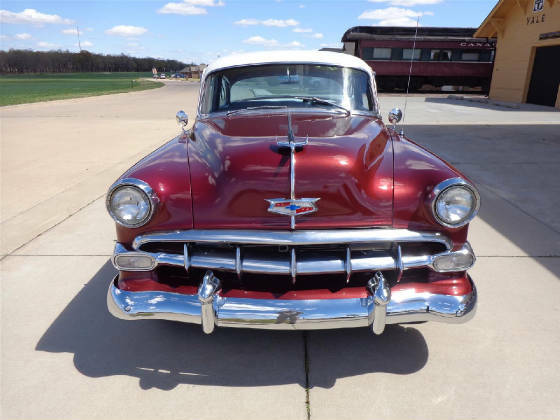 When he drives up you know this is not a stock 54 Chevy. 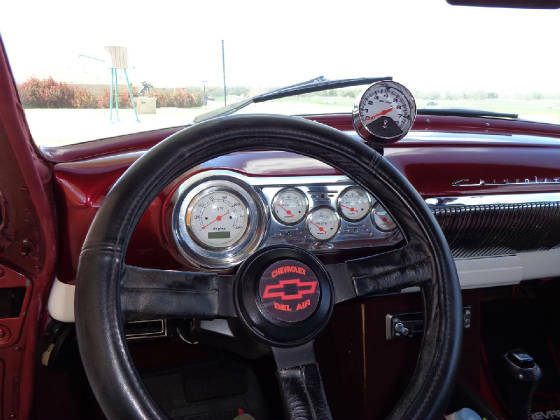 Fuel is delivered through a 600-CFM Holley four barrel carburetor mounted on an Edelbrock Performer aluminum manifold. 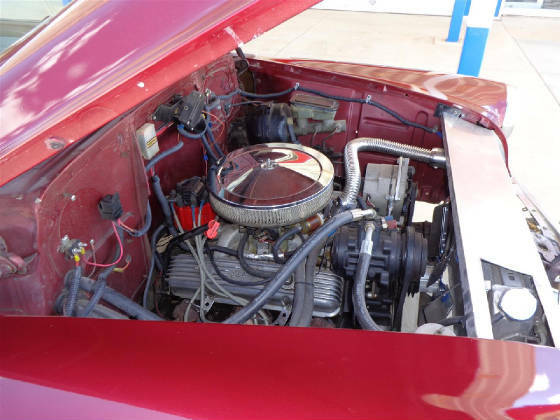 The V8 is cooled by a Northern aluminum radiator. The power is moved to the third member through a GM 700R4 four speed automatic overdrive transmission with cooler. The third member is from a Nova 10 bolt with traction bars. 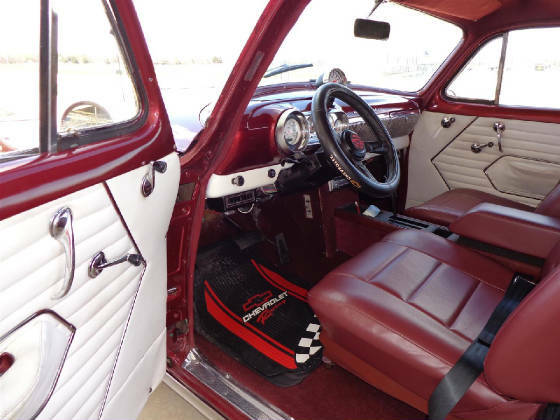 The interior has Vintage Air, Painless Wiring, Dolphin Dash Gages, tilt steering, and custom console with floor shift. 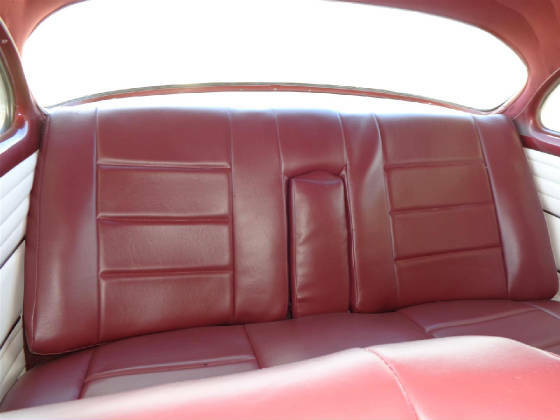 The seats are 6-way power in the front with custom seat in the rear with arm rest that has been upholstered by “Collin Auto Trim” of Stillwater Oklahoma. The BelAir rides on a set of Summit Sport Star wheels with 205/60R15’s on the front and 235/60R15’s on the rear. 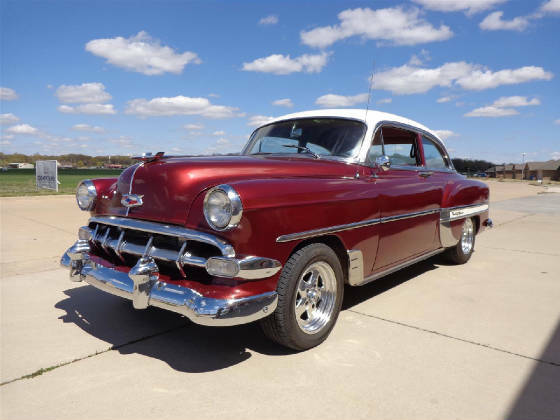 This cool 1954 BelAir cruises along the open road at 70 MPH, turning a little over 2000 RPM’s and brakes and drives like a new car. 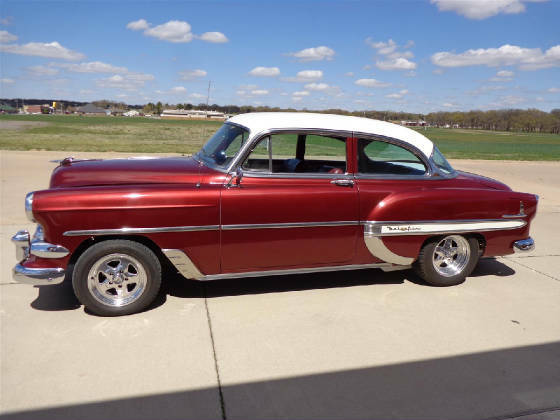 The Cimarron Starlite Cruisers sincerely thank Doug and Beverly Brashers for sharing their very cool 1954 Chevy BelAir as our Great Oklahoma Classic for April 2016!